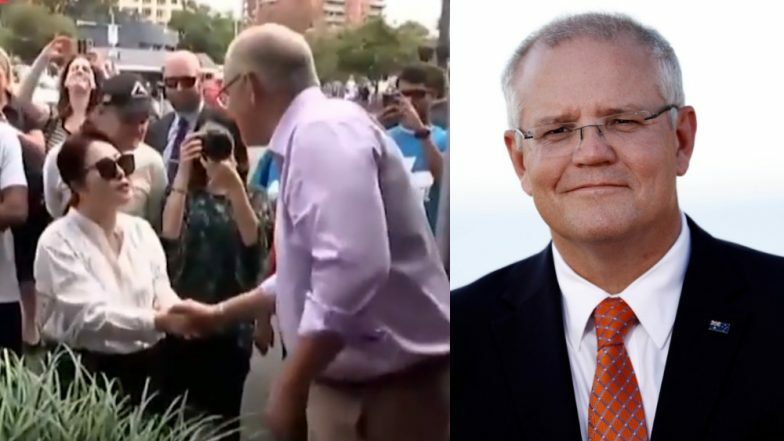 Australian Prime Minister Scott Morrison was criticised on social media after he addressed a Korean woman in Chinese. The incident happened when Morrison was on the first street walk of his election campaign in the inner west Sydney suburb of Strathfield. He was meeting locals and visiting restaurants following which spoke to the woman. The PM met the woman outside a Korean restaurant and spoke to her in Chinese. Australian PM Pushes G20 to Tackle Internet Extremism. The video of the incident went viral after it was shared by Sky News Australia. Morrison asked, "Ni hao, how are you? ", to which the lady replied, "No, no, no, I am Korean". She also explained to the PM how she came from the Korean community in the area. Ni hao means 'Hello' in Mandarin Chinese. Morrison was campaigning for parliamentary elections which are scheduled to be held on May 18. Australian Prime Minister Announces May 18 Election. ScoMo confuses Koreans for Chinese. The all look the same to him. The video was soon to go viral on social media with some laughing at the funny incident. However, others criticised the PM for not knowing the people of his country well. For a man who embarrasses himself and shows how unfit he is to be a politician every time he opens his mouth, perhaps the hustings is somewhere he should avoid. Muppetboi electioneering is like passing a car crash. You don't want to look 'cos you know it will be stomach turning..
As the video was being widely shared on social media, internet users came up with various reactions. The incident became more embarrassing as it occurred after he visited a Korean restaurant in Strathfield. While the woman did not appear bothered by the PM's address, social media users tried to school the Morrison. One of the tweets read, "One Strathfield has a high population of Koreans. To assume they are Chinese is racist and quite stupid."